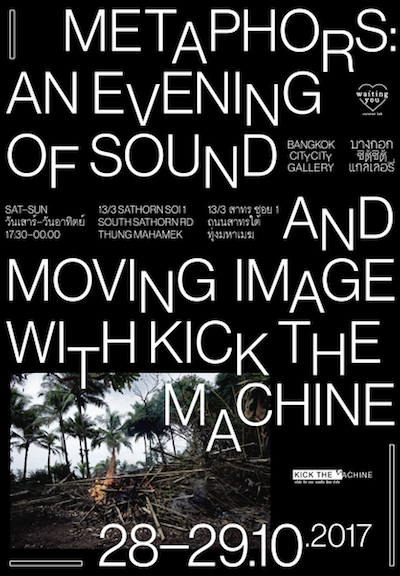 Last night, Bangkok's CityCity Gallery hosted film screenings and live performances to mark the release of an album of music from the films of Apichatpong Weerasethakul. Metaphors: An Evening of Sound and Moving Image with Kick the Machine will take place again this evening, though tickets are sold out. 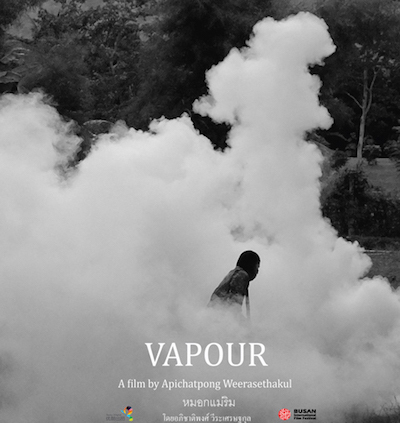 Screenings included Apichatpong's short films Ghost of Asia (previously shown at Indy Spirit Project and Apichatpong on Video Works) and Vapour (หมอกแม่ริม; with live music by Thanart Rasanon on guitar). There was a technical hitch after the intermission, and the schedule was slightly different from the one advertised, with Ghost of Asia as a substitute for I'm Still Breathing (ฉันยังคงหายใจ). The evening ended with an extract from Apichatpong's installation film Fever Room (ฉันยังคงหายใจ). 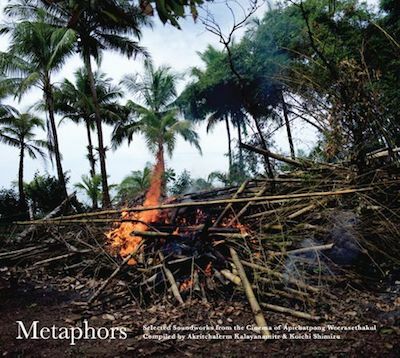 The album Metaphors: Selected Soundworks from the Cinema of Apichatpong Weerasethakul features fourteen tracks, including music from Tropical Malady (สัตว์ประหลาด), Syndromes and a Century (แสงศตวรรษ), Uncle Boonmee Who Can Recall His Past Lives (ลุงบุญมีระลึกชาติ), Mekong Hotel (แม่โขงโฮเต็ล), and Cemetery of Splendour (รักที่ขอนแก่น). Each ticket includes a copy of the album on CD.